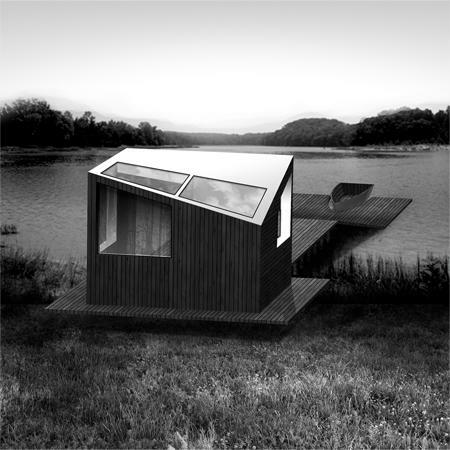 A basic living room, bathroom, kitchen and a sleeping hall for 2, on a 5x5 meter, 25 sq. meter base - the least of the most essential. The pier side of the house can be completely opened up, and so be united with the scenery. The terrace's end functions as a private dock.